Eating a diet high in magnesium may lower the risk of health conditions such as coronary heart disease, stroke, and Type 2 diabetes, according to new research published in the journal BMC Medicine. Cardiovascular disease is the leading cause of death in people with diabetes, who are at least twice as likely to have heart disease or a stroke as those without diabetes. Magnesium is needed for a wide range of functions in the body, including helping to regulate blood sugar levels, promote normal blood pressure, and maintain muscles and nerves. Current guidelines recommend roughly 400–420 milligrams of magnesium a day for men and 310–320 milligrams a day for women. However, studies have indicated that only about 25% of American adults are consuming enough of this mineral. To evaluate the links between dietary magnesium and health, researchers conducted a meta-analysis (analysis of data from several clinical trials) of 40 studies involving more than one million people in nine countries conducted from 1999 through 2015. Dietary levels of the nutrient in all the studies were determined using either food questionnaires or interviews asking participants to recall what they’d eaten in the previous 24 hours. Based on this information, the researchers evaluated the effects of every 100-milligram per day increase in magnesium on health. They found that people with the highest intake of dietary magnesium had a 10% lower risk of coronary heart disease, a 12% lower risk of stroke, and a 26% lower risk of Type 2 diabetes compared to people with the lowest intake of magnesium. They also found that every 100-milligram increase in magnesium per day was associated with a 7% decreased risk of stroke, 19% decreased risk of Type 2 diabetes, and 10% decreased risk of death from all causes. Because the studies were observational, it is not possible to say whether dietary magnesium directly reduced the risk of disease or whether there were other variables that might have influenced the participants’ health, but the authors note that the results support the role of the mineral in promoting health. “Low levels of magnesium in the body have been associated with a range of diseases, but no conclusive evidence has been put forward on the link between dietary magnesium and health risks. 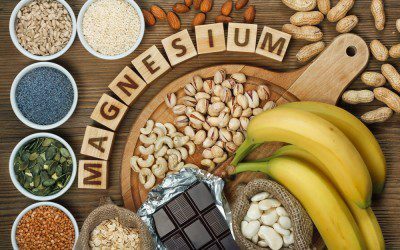 Our meta-analysis provides the most up-to-date evidence supporting a link between the role of magnesium in food and reducing the risk of disease,” stated lead study author Fudi Wang, MD, PhD. 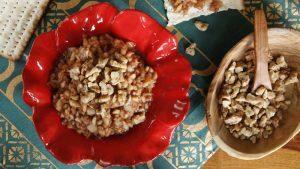 Good food sources of magnesium include leafy vegetables, whole grains, seaweed, beans, nuts, spices, and cocoa. For more information, see the article “Dietary Magnesium Associated With Reduced Risk of Heart Disease, Stroke, and Diabetes” or the study in BMC Medicine. And for more information about the benefits of magnesium and how to incorporate more of this mineral into your diet, read “Magnesium: The Forgotten Healer,” by nurse David Spero.